← Food Blog Forum Orlando ~ An Unforgettable Experience!! This recipe is a keeper! It’s easy, and quick…even with making your own mini-meatballs. It’s definitely a family pleaser…when my girls found out I was making Hungarian meatballs Monday night they were super excited. My 8 year old said it’s her favorite meal after the Zuppa Toscana soup. And as I was dishing it out, I remembered I’d wanted to double the recipe next time so there would be plenty for seconds (and thirds or leftovers). We didn’t have any leftovers. Probably since it serves 4, and we have 5 people in our family. And lately I keep forgetting how much my older two girls can eat…they are growing girls after all. And my 12 year old eats like an adult. Sheesh…hard to remember!! When did I get a pre-teen? Can anyone relate to the bottomless pits they seem to be? Seriously it’s a full-time job just keeping them fed! So you may want to double the recipe if you have the same issue in your home. This recipe isn’t mine, so I can’t take credit. Back in 2003 when I was losing weight after my second daughter was born, I was utilizing the Weight Watchers message boards for accountability and support. It was a great source of motivation for me at the time, and I didn’t even have to attend meetings. Their message boards are FREE! It was there I discovered the wonderful Couch to 5K running program and went on to run my first 5K. Which in turn inspired my husband (who was never a runner) to train with the same program. He went on to run many races including 3 marathons and a half-ironman!! I am SO proud of him! Needless to say, I lost all my baby weight, got in great shape (as did my hubby) and made some great friends! It was one of these gals that ended up sending me this recipe. She photocopied it out of a Weight Watcher magazine. It took me several years before I ended up making it…isn’t that always the case? And then I was kicking myself. She even made a notation that “paprika makes the taste.” I wasn’t very familiar with paprika at the time, but since then it’s become one of my favorite spices to use. So here you go…Hungarian meatballs with noodles! I promise you…they are definitely a lot tastier than they look in the pictures. There’s a great broth down there in that bowl. It’s hard to take appetizing pictures of meatballs without them being covered in some type of sauce or cheesy goodness, right? But trust me…they’re good! salt and pepper to taste ~ hubby says best with lots of pepper!! 1. In a large bowl, combine ground beef, egg, onion, parsley, salt paprika and pepper. Shape into small 1-inch mini meatballs. 2. Brown in oil in large skillet (large enough to hold 4 cups broth when done browning). 3. After browned on all sides (about 10 minutes on medium), add broth or water/bullion. Bring to a boil, reduce heat and simmer covered for 20 minutes. 4. Make egg noodles according to directions. Drain. 5. For each serving top noodles with meatballs and broth. Season with salt and pepper. This recipe linked to Mangia Mondays, Monday Mania, Mouthwatering Monday, Melt in your Mouth Monday, A Moderate Life, Tuesdays at the Table, Tasty Tuesday, Delectable Tuesday, Works for Me Wednesday, Real Food Wednesday, What’s on the Menu Wednesday, What’s Cooking Wednesday, It’s a Keeper Thursday, Simple Lives Thursday, and Thrilling Thursday, Friday Potluck, Family Friendly Fridays, Fresh, Clean & Pure Friday, Fun with Food Friday, Friday Favorites, Finer Things Friday & Food Trip Friday. *Note the “share” and “facebook like” buttons below. If you like this recipe, I’d appreciate your recommendation to others! Thanks!! Oooo, Denise- these do look yummy, and you know what? the pics looked tasty, too! I love your "bowls" – It's weird to call square things bowls, you know? I'm going to add these to my ever-growing list of things to make/try. Thanks! Adding this one to my list of recipes to try. It looks yummy! My mom used to make these all the time for Sunday supper. It was very much a family favorite! Mom, those where SO good can you please make it for dinner one night this week PLEASE. thanks so much for linking up to magia mondays! Looks so good! Bet there would be no leftovers at my house either, my kids would love this! Thanks for stoppin by…I’m off to check out your recipe. 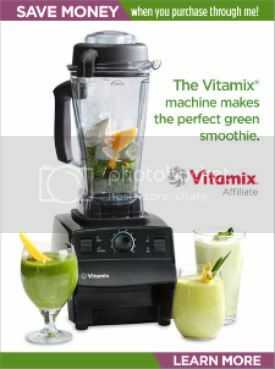 looks so yummy…i want to try this one. Hi Kat! So glad you came by. I’m off to check out your recipe!! Happy to see you! Thanks for dropping by. That looks so yummy. I like how you use real ingredients and nothing from a mix or package. Can’t wait to try this out! Thanks for coming by. I’m off to check out your peep cake. Sounds interesting, and like something my kids would love. I’m just stopping by the other blogs that were featured on Fresh, Pure and Clean Friday and sayin’ hi. 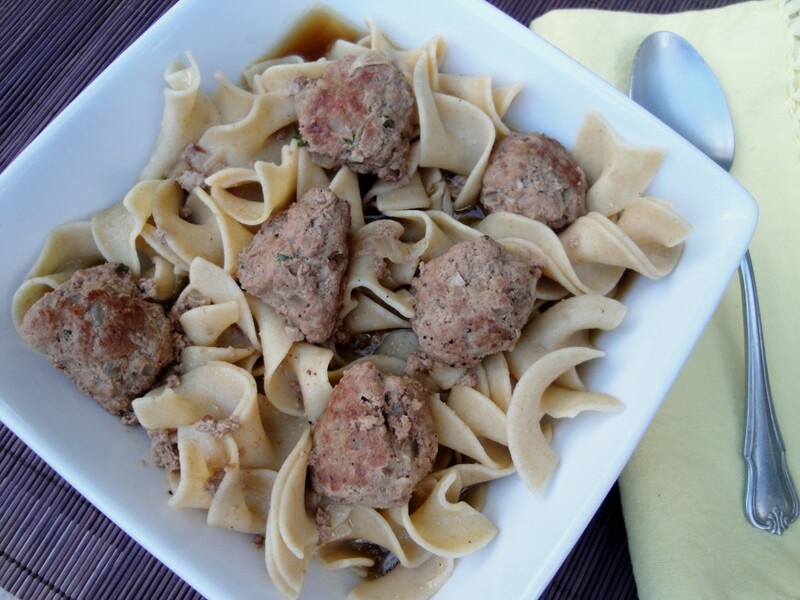 Your Hungarian Meatball and Noodles recipe looks delicious and reminds me of a dish my great-grandmother (who was from Bavaria, Germany) used to make. I haven’t had something like this in such a long time; great reminder of how good they are and something perfect to remember as we get into cooler weather. I happened upon your website, and am kind of disappointed. This recipe looks delicious, but unless you can direct me to a specific brand, I have never found a bouillon cube without msg. Maybe I have a different idea of ‘real’ food. You list canned tomatoes in several recipes as well, and canned tomatoes are horrible for you, as the lining they use in the cans leaches into the tomatoes, since they are highly acidic. I guess I just expected something different from a “real food” blog. I’ll try this recipe sans bouillon and see what happens. Can’t wait to try this out! This looks delish and so comforting!